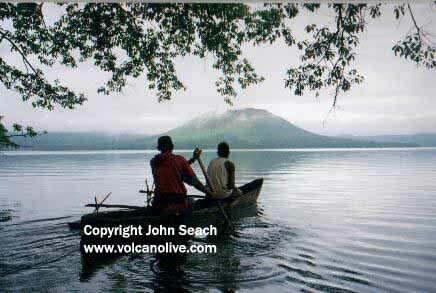 Gaua is a large shield volcano with gentle outer slopes, a large caldera lake (Lake Letas), and summit cinder cone (Mt Garet). 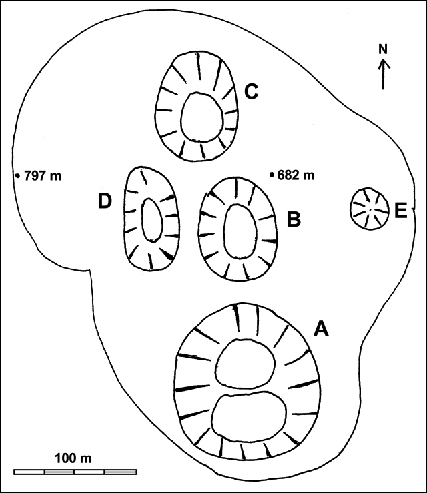 The caldera is 8 x 6 km in diameter. Lake Letas occupies half the caldera with an area of 19.7 sq km. It is about 100 m deep and flat bottomed. There is warm, sulphur stained water near Mt Garet cone. Gaua Island lies just north of the Santa Maria Fracture Zone, which runs perpendicular to the north New Hebrides Trench. 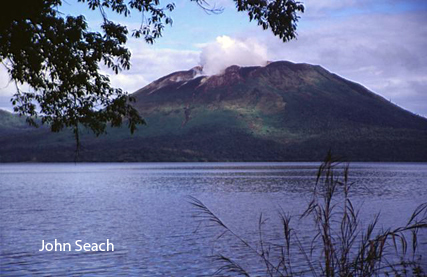 In December 2011 Gaua volcano was changed from dormant to permanently active. A short-lived eruption was reported at Gaua volcano on 30th April 2013. Ash emissions reached 10,000 ft altitude. Eruptions have increased at Gaua volcano, Vanuatu during January. Ash emissions have increased significantly since 16th January. Ash emissions reached a height 3000 m. Strombolian eruptions occurred on 24th January. Explosions were seen and heard from villages on the east coast of Gaua on 29th January. Water level in Lake Letas has risen up to 30 cm since 22nd January. People are advised to avoid the volcano until further notice. Report from 1st October 2009. Gaua volcano in Vanuatu is showing signs of unrest. During the past few days the volcano has emitted large quantity of "smoke". People on the island have noticed a strong sulphur smell. Residents have been advised to stay away from Mt Garet cone. 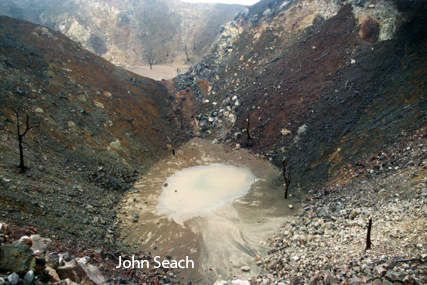 During the first week of October 2009 observers at Gaua volcano caldera reported an eruption accompanied by earthquakes, black smoke and ash emission. 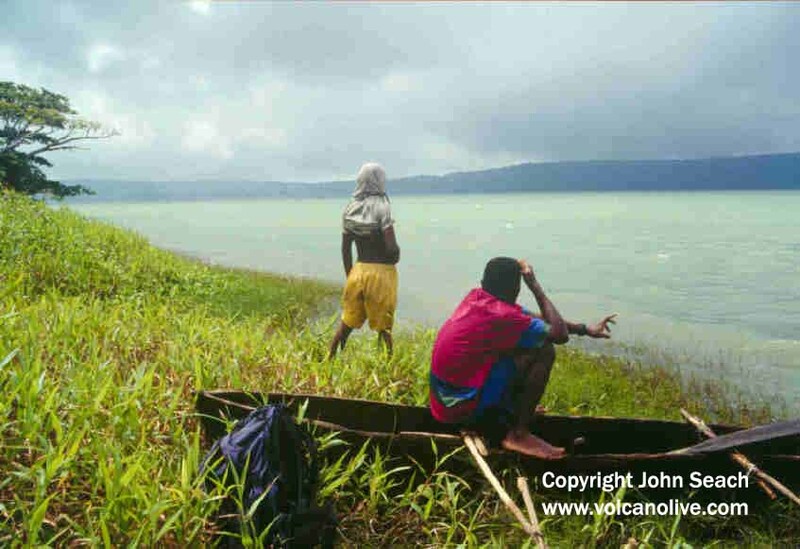 An assessment of Gaua volcano was made by staff from Vanuatu Geohazards Observatory from 3-7 October 2009. The survey confirmed an eruptive phase began at Gaua from the 27th of September 2009. Volcanic gas measurements on 3rd October show that 3000 tons of sulphur dioxide was released from Gaua volcano daily. The alert level has been raised to 2 (on a scale of 0-4). People are advised to stay away from the summit area. 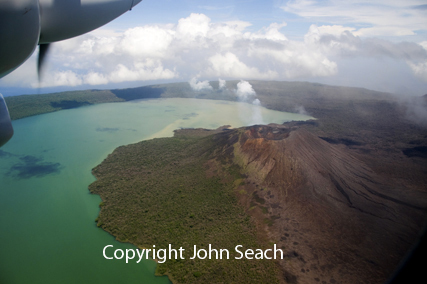 An increase in activity at Gaua volcano, Vanuatu has forced the evacuation of over 300 people from three villages on the west coast of Gaua Island on 26th November 2009. People have been suffering from respiratory problems in the last few days as a strong wind has carried the gas and ash over villages. Two boats from the police and health department in Torba are starting to evacuate people this morning. Negotiations are taking place with ships owners to help with the evacuation because the two motor boats cannot carry enough people. Chiefs from two villages, Namasari and Lembot, from the east of Gaua met yesterday about housing the relocated people. The National Disaster Management Office has maintained the level of alert on 2 (out of a maximum 4) but during the past days, a fall and gas emission has increased. Renewed eruptive activity occurred at Gaua volcano, Vanuatu on 14th December. Ash emissions were darker than before, and fall in the western side of the island. On 17th December 3000 tonnes of sulphur dioxide were emitted. 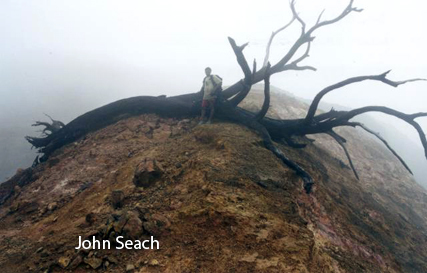 During a 6-10 September visit by John Seach to the Gaua caldera and the cone of Mt. Garat, of the five craters only Crater A was solfatarically active. The W side of the caldera lake was stained yellow by sulfurous mud and emitted a strong SO2 smell. The water temperature was measured at 30.1°C while that of the lake shore mud was 35.1°C. The Mt. Garat cone was largely denuded of vegetation around the craters. Only on the NE side near Crater E was there any regrowth on top. Moss and grasses had regrown on the flanks of the cone, to within 20 m of the E side of Crater E. Fallen trees were scattered around the rims of all five craters. In 1973 eruptions caused the evacuation of residents. Minor ash emissions occurred on 12-13 May 1971. A small ash emission occurred at Gaua volcano on 22nd September 1969. Small emissions of ash and steam occurred in late 1968. A small ash emission occurred at Gaua volcano in July 1967. Periodic small ash emissions occurred in 1966. A 3-day eruption occurred at Gaua volcano on 27th September 1965. Ash was emitted to a height of 6000 m.
A new vent opened on the SE side of Mt Garet in September 1963. Dark grey ash was visible from Vanua Lava Island, 50 km away. 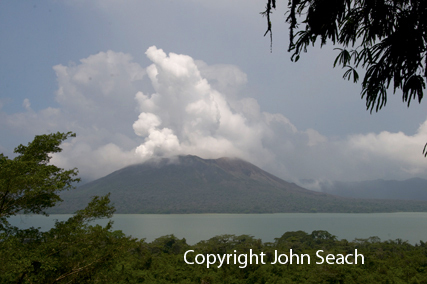 No eruptions were recorded at Gaua volcano until 1962. In July 1962 vegetation was damaged on the western slope of Mt Garet.